PKG is a great place to get your children involved in the martial arts--and the martial arts are the perfect way to keep your kids motivated, focused, and fit. The friendly crew of world-class instructors at PKG will keep your kids engaged and interested in a fun, professional environment. Your kids will have a blast while learning valuable skills that will benefit all aspects of their lives. QUITE POSSIBLY THE BEST ACTIVITY FOR KIDS! Studies have shown that the benefits of martial arts extend well beyond improvements in physical well-being, especially in children. Martial arts training improves focus, patience, and determination resulting in better performance in school. The confidence boost that your children experience after training with our world-class instructors will be something they will carry with them through any challenge. GIVE YOUR CHILD AN EDGE IN LIFE AS EARLY AS THIS MONTH! 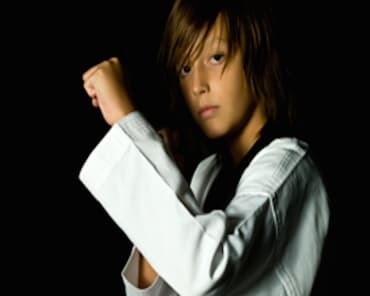 With everything that the Kids Martial Arts classes at PKG Training Center have to offer your child, there’s no reason you’d want to wait to get started. And with new classes beginning this month, you don’t have to! To get all the details about these incredible classes, just complete the short form on this page. When you do, we’ll present you with everything you need to get your child started in the fascinating world of martial arts at PKG Training Center!